The Kennedy Space Center (KSC) is continuing its drive to attract new commercial partners by offering the use of a High Bay inside the famous Vehicle Assembly Building (VAB). 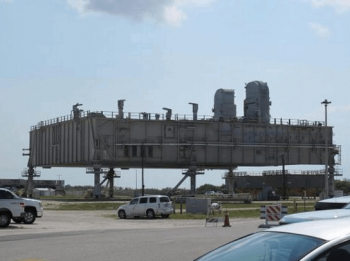 Also on offer – via an announcement for proposals (AFP) under KSC’s multi-user spaceport brief – are the three former Shuttle Mobile Launch Platforms (MLPs). The Kennedy Space Center is undergoing a major top-to-tail transformation. Moving away from its esteemed role with the Space Shuttle Program, the iconic Florida base is now deep into its transition to re-emerge as a 21st Century spaceport. Work has ranged from the mundane task of upgrading the sewage systems, through the dramatic changes to the center’s skyline, with both launch pads preparing to host new rockets. Pad 39A will soon welcome SpaceX’s Falcon Heavy rocket, breaking KSC’s ties with government owned rockets. 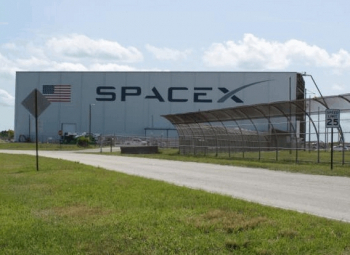 Work to convert 39A into a SpaceX launch pad has seen the construction of a new Horizontal Integration Facility (HIF), while construction is continuing on the pad’s ramp and launch mount area. Pad 39B has already been converted in readiness to host the Space Launch System (SLS). However, its “Clean Pad” infrastructure is designed to enable other rockets to launch from its coastline base. It will also include a mini pad area within its perimeter, aimed at small class launchers. While SpaceX won’t be utilizing the VAB, SLS – and the aforementioned small launchers – will be integrated within the cavernous surroundings of the iconic building. The launch vehicle integration facility was built in 1965 to support assembly of Apollo/Saturn vehicles and modified to support the Space Shuttle Program. The VAB features four High Bays, each with approximately 27,435 square feet of floor space and an internal height of 456 feet. 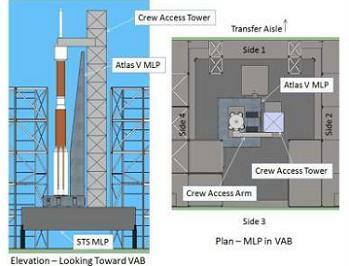 Although SLS will utilize the transfer aisle and one High Bay, the VAB’s available capacity “exceeds planned NASA usage. “Therefore the Agency has determined that VAB High Bay 2 (HB2) is available for use by a commercial company or consortium, or other US domestic entity, including state agencies, to provide commercial space launch services as defined by the Commercial Space Launch Act,” as announced by NASA this week. 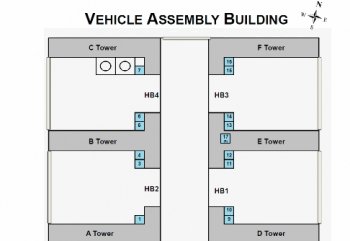 VAB HB2 – located on the west side of the facility – holds potential as a launch vehicle processing, integration, and testing bay for commercial space operations. HB2 has historically been used for storage, vertical integration, and stacking of spacecraft. A commercial space launch company could use HB2 in support of its space launch services while assuming financial and technical responsibility for operations and maintenance (O&M), thus reducing some of the costs for NASA. “Making unique capabilities like the VAB available to commercial companies is yet another step in our evolution to a diverse spaceport that supports government and commercial partners,” added Scott Colloredo, director of Center Planning and Development at KSC. NASA notes the availability of HB2 to an interested party is estimated to be June 2016. Studies into the use of the VAB HBs in tandem with SLS launch campaigns have been conducted over the years. 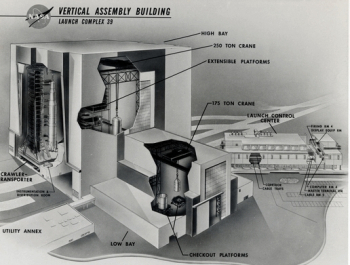 Notes and graphics from the studies were acquired by L2 (LINK), showing an integration path involving an Atlas V being stacked inside the Vehicle Assembly Building (VAB), atop of a former Shuttle MLP, prior to being rolled out to Complex 39. Such dual flows inside the VAB are aimed at allowing both a commercial vehicle and the SLS to be processing at the same time. Work to remove and replace platforms that were dedicated to the Shuttle stack is now almost complete. 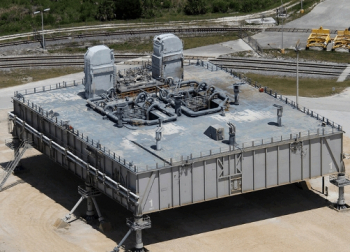 The Kennedy Space Center’s Ground Systems Development and Operations (GSDO) program had also noted they expected to transition its three MLPs. Previous plans showed MLP-1 was set to retire, MLP-2 was to be dedicated to a liquid fueled vehicle – such as Atlas V, while MLP-3 could be used by a Solid Rocket Motor vehicle – such as the Liberty rocket. Since those plans were created, Atlas V’s days have since been numbered, as the United Launch Alliance (ULA) focus on switching to its Vulcan rocket, while the Liberty rocket – which originally planned to use the Ares I Mobile Launcher before that transitioned into the ownership of SLS – has been shelved. This has resulted in all three MLPs being offered to potential customers, with alterations to the hardware to be made after they are acquired. “NASA has determined that three MLPs are available as secondary assets under this AFP for use by a commercial company or consortium, or other US domestic entity, including state agencies, to provide commercial space launch services as defined by the Commercial Space Launch Act,” added the AFP outline. 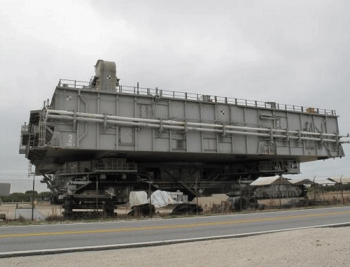 “The MLPs were used to stack, transport, and launch the Space Shuttle. They are available as an option to Proposers (i.e., proposers do not have to request an MLP to propose for VAB HB2). Proposers may include a request for one, two, or three MLP(s) in their response. Proposers may also request an MLP or MLPs without proposing for VAB HB2. NASA had previously allowed the Michoud Assembly Facility (MAF) to be used by outside interests, resulting in oil companies and even Hollywood film productions taking up space in the former External Tank production facility. NASA also expect to be paid (or reimbursed out of any subsequent contract) over six million dollars over five years from a suitor in “rates”, covering power, utility and associated maintenance costs. It is not known if any companies have expressed any recent interest in the High Bay or MLP options. Any interested parties must submit their interest to NASA by the end of July. (Click here: http://www.nasaspaceflight.com/l2/ – to view how you can support NSF’s running costs and access the best space flight content on the entire internet).